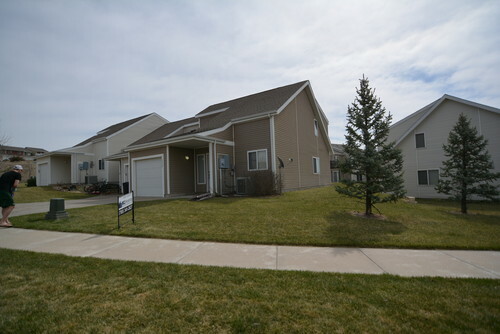 End Unit 3 bedroom 2 bath West side townhouse 1586 square feet finished. Large bedrooms, energy efficient home. All kitchen appliances included. All electric utilities. 6.5 miles to Fort Riley Ogden Main Gate. Lawn maintenance/sprinkler/trash removal provided. Manhattan Schools, Amanda Arnold Elementary. Pictures are stock photos of similar home.